Allergic reactions seem to get worse as we mature, or maybe they have always been bad. I have found that soaps and gels with fragrances are not my friend anymore. I was in love with the soaps that filled the room with their scent, and I found that I could find them at good prices at places like Tuesday Morning. But recently I have found they cause a skin reaction, and they were beginning to dry my skin even more. I tried a lot of different brands that can be purchased at the supermarket, drug store or other convenient places, but they all had the same reaction. I even tried the ones that said they were for sensitive skin—same thing was happening. Well, I could not go around and just bathe in water, so I had to find something. I went to Whole Foods and talked with a salesperson. 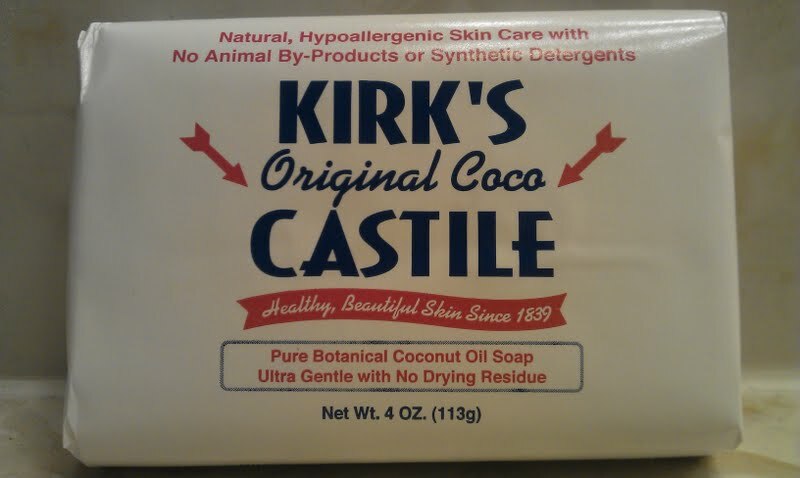 She suggested that I try Kirk’s Castile (Original Coco) Soap which is a very old brand of soap. I gave it a try, and have found it to be the best non-drying soap that I have ever used. It has no fragrance, and contains no synthetic detergents. Kirk’s was one of the first all-natural soaps and uses a vegetable base. The soap does not leave your skin dry; it leaves it feeling a tad bit moist. They also make a liquid soap and a body wash of this product. Since it is not available at all stores, I decided to order it. You can find it at Whole Foods or you can purchase it online at Amazon and other sites including Kirk’s. Ladies if you have this problem, what products do you recommend? Remember one size does not fit all. Share your finds with the rest of us. See you next week. Remember “thisis yourbestyear”.